Reddit is one of the best social bookmarking sites and very popular. By using it effectively you can get thousands of visitors on your blog. It also helps you increase your online earnings (See also - Make Money through Blogging). Hey wait, are you leaving my post and submitting your post on Reddit now? Don’t do it. First, read this article or it will be a great mistake just like I did when I started blogging. One of my friends said to me, “Use Reddit and you will get huge traffic.” I asked, “How.” He said, “Sign up there and submit your link and you will get huge traffic.” I was so happy. I did that. I started submitting my posts. But, I didn’t get much traffic. After few days, I was banned from Reddit. I was surprised. I thought that Reddit was not useful for me. But, after that, I found out the reason for my failure. Reddit is also helpful for SEO. In this article, I will tell you about How to Use Reddit to Drive Huge Traffic to Your Blog and my mistakes. Before describing “How to Use Reddit to Drive Huge Traffic to Your Blog”, you have to understand about few important things about Reddit. Look at the left side of a submitted link in Reddit. You can see up and down arrow. Up arrow is for up-vote and down arrow is for down-vote. When someone likes your link, he or she can express it by up-vote. When someone is disturbed of your link, he or she may give you down-vote. The voting system is also available for comments. Next thing is Karma. Karma is a point. You get this point when you will get an up-vote for your submitted link or comment. But, you will lose Karma if you get down-voted. If total karma goes below a level, your account can be banned. It may happen if you submit only your blog posts. Like other social bookmarking sites, you have to select a category to submit your link. But, the benefit of Reddit is they have the category for almost everything such as news, science, health, technology, iPhone, chrome etc. You may not find this feature to other sites. Reddit calls its category as subreddit. Sorry to keep you waiting. 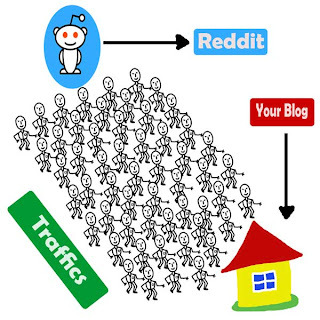 Now, it’s the time to say you about “How to Use Reddit to Drive Huge Traffic to Your Blog”. If you don’t create an account, you can’t use Reddit. So, first of all, sign up to Reddit and create an account. I know you are surprised. You are expecting some interesting or valuable tips in the second point of my article like sharing your own contents and getting traffic. But, no, it’s one of the most important or valuable steps. Without it, your all work is going to be spoiled. It is one of the reasons for which I failed. After creating your account, for first few days forget about your own blog when you use Reddit. Submit interesting topics from other websites and try to get more and more up-votes and build Karma. Otherwise, your account can get banned. You will not get up-votes or karma either. Submit your own links when your Karma is around 150. After you have started submitting your links, I suggest you not to submit links only from your own blog. Reddit rules say to submit a post from other sites. Many users submit their links without knowing about the rules of subreddit. Reddit is a high concern about spamming. It has a spam filter which automatically filters out spam. But, don’t worry. You can prevent it. Before submitting, read the rules of subreddits where you want to submit your link because different subreddits have different rules. Also be sure that your link was submitted before by you or someone else or not. After submitting, to check whether your link is alive or not, click the “New” tab of that subreddit where you have submitted your link. If it is not there, it means, your link is caught by spam filters. To get the huge traffic you need more up-votes. It helps to get your link on the front page of Reddit which is the number one goal of Reddit. For that, you need to get the first 10 up-votes for your link as quickly as possible and it will rise to the top in that "subreddit". Reddit will favor you more if you manage 100 up-votes in 1 hour. But, if it takes 10 hours, it won’t be effective. Reddit ranks newer stories higher than older stories. So, try to submit newer stories. If your link gets the highest number of up-votes in that subreddit, it will rise to the front page. Another thing is the first 10 up-votes have the same power as the next 100 up-votes which have the same power as the next 1,000. But, all these equations will not work if you get a significant amount down-votes which will also affect the rank of your link. For example, getting 120 up-votes and 10 down-votes is better than getting 1000 up-votes and 900 down-votes. Like I said before, find and share contents from other popular sites. If you submit your own links only, people won’t like you and think you a spammer. So, there is a high chance that you would get down-votes. More down-votes means your account is more in trouble. Keep in mind that Reddit is created for sharing valuable information with people and which is going to help them. What I do is if I submit 5 links, 1 is from my own site. But what types of posts should you submit? Think that you are sharing information or interesting things (photos/videos) with people. Your aim is to make them happy. Share content that is funny, humorous or interesting. The best types may be videos, drawings or interviews. You can search google for this. You can share the latest science/technology news from popular sites. Before choosing a subreddit, you have to think about 2 matters. One is the name of the subreddit and number of subscribers of the subreddit. Try to be more specific when you choose a subreddit. Find subreddit that is the best fit for your post. Suppose you want to submit a link about “Benefits of using Google chrome”. You should choose chrome subreddit for it, not technology/internet. Then see the number of subscribers of that subreddit. Traffic depends on the number. If you can’t choose a perfect subreddit, it won’t be effective. If you submit your link when people are not active, you can not expect many up-votes. The study says that the best time for submitting your link on most social networks is before 5pm EST. Same timing is helpful for Reddit. Try to give valuable and attractive comments to posts which have got a high number of up-votes. It will help you to drive traffic to your submitted links. It’s simple. If they love your comments, they can be curious about your posts and they can go to your links and give it an up-vote. Thus they will know about you and may follow you and give you up-vote. But, don’t do it excessively. Do it sometimes. It is another important thing. Other social bookmarking sites may allow you to submit a lot of links every day. But, Reddit won’t allow you to do so. One link is enough for a day. It will take time to get a good result. Your 1st 20 posts may get less amount of up-votes. But, don't be frustrated about that. Try to find out why you have failed. Keep trying and you will get success. It won’t give you up-votes or traffic, but it is very helpful. What you have to do is watch what other users are doing. Especially follow users whose links are on front page. Try to understand why they have got so many up-votes or what types of posts get more up-votes. Find out what’s the difference between your title and their titles. See how they comment on a post. This will give you more knowledge and you can understand what to do next. Finally, I want to say that, though Reddit has strict rules, you can drive huge traffic to your blog by using it appropriately. Even it can make you happier than other social networking sites. 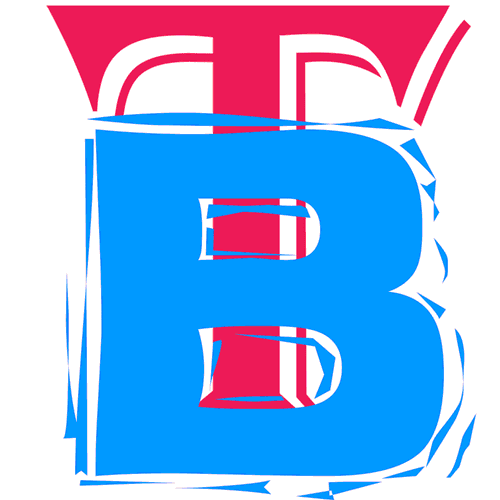 Tech blogger bd is about blogging and social networking. You can also get tips and latest information about blogging and social networking. Very good information. Thanks for sharing with us! This is awesome! exactly what I needed to know since I tried and failed on Reddit, now I can take the slow road but I know it will lead me to success. Thanks so much, you rock! You are welcome. It will inspire me to share more ideas with you. Thanks its really helpfull for me . thank you for that post pallab, i found this to be VERY helpful, because i created a reddit account today and i wanted to get the best information i could find to move forward. thank again, keep up the good work, and remember you are already great and successful! Thanks for this tips..I learn so much from it. Really ,I did not know how to get reddit a huge traffic for my blog but as you convinced me what to be done , what to be know and how to do to get a huge traffic, I am very sorry for wrong doing and adopting not proper way as you said, I am very grateful towards you and thanks a lot. thank you so much ! i think i'll drop my old account and make a new one on reddit, coz all my links doesn't show up anymore ! this is a good article and i'll be back when i get better results ! I have been submitting a lot of links to Reddit for quite a long time now and today, I was laughing at myself. I have been silly doing all the mistakes you've mentioned. Thank you for this great post. I appreciate it. January 31, 2014 at 7:51 PM × This comment has been removed by a blog administrator. Thank you very much for your kind information about Reddit, i am new to Reddit i read there guidelines, your Article helps me much, how to use it. very clear information. Thank you very much. Helpful indeed! Sure I will follow those steps. Thanks! it is great ,, and helpful thanks for share. Helpful, I just started using Reddit, and I also realized that what I was doing was not working. Thanks for the post, it was really great. You are right brother. Relation is very powerful thing to drive more traffic. thanks for sharing. Thanks for the information. I cheked my account is banned :(. can i do something for that, how can i get rid of this ban. Very well explained, thanks for the tips! thanks for your inf dear. This is very expanted quality.Many learners cannot complete the different demands of teachers with value to essay writingEssay writing service reviews for blog spot. project. Also, popular of learners don't have good writing skills and cannot make efficient essay. November 11, 2015 at 2:17 PM × This comment has been removed by a blog administrator. December 3, 2015 at 1:25 PM × This comment has been removed by a blog administrator. what is the best way to get high traffic for your site? Very Good Information and Helpful.Neat Explanation. Thank you very much. March 12, 2016 at 6:04 PM × This comment has been removed by a blog administrator. It's too bad because I had a post that was upvoted a lot, regarding my blog, but they still banned me. awesome man. I have read some other similar posts for reddit . that was not easy to understand about the reddit when i read it for first time.your article makes it simple as possible. You are welcome, bro. Easy and simple to understand for user - Always it should be like that. And I am happy that my work is not bad. Thank you.